Edward Phillip Wysocki, DMD, received his degree from Tufts University School of Dental Medicine. Dr. Wysocki has clinical experience in diagnosis and treatment planning, preventative care, as well as restorative and prosthodontic dentistry. While at Tufts, he received the prestigious Thomas B. Hunt and Tufts Merit Scholarships. Dr. Wysocki believes the responsibility of a dentist is to educate and guide patients so they can make their own decisions on oral health care. When recommending treatment options, Dr. Wysocki explains the how and why, ensuring each patient gains a comprehensive understanding of his or her dental health needs. In all aspects of patient care, Dr. Wysocki is attentive to detail: he has an innate sense of aesthetics and artistry that he brings to each procedure. A Chicago native, Dr. Wysocki completed B.A.s in Biology and Comparative Human Development at the University of Chicago before heading south to earn a Masters degree in Cell and Molecular Biology from Tulane University. During this time, he conducted research alongside physicians at the University of Chicago Hospital, where he worked with medically complex and underserved patient populations. Affiliated with numerous organizations, Dr. Wysocki is an active member of the American Dental Association (ADA), the Academy of General Dentistry, and the American Student Dental Association (ASDA). He has worked closely with the ADA throughout a 5-week externship, and contributed to ASDA publications and developed resources for pre-dental students. 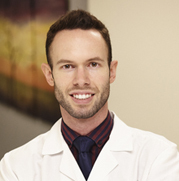 Dr. Wysocki is a supporter of the LGBTQ community, and seeks to create a comfortable and safe environment for all his patients.